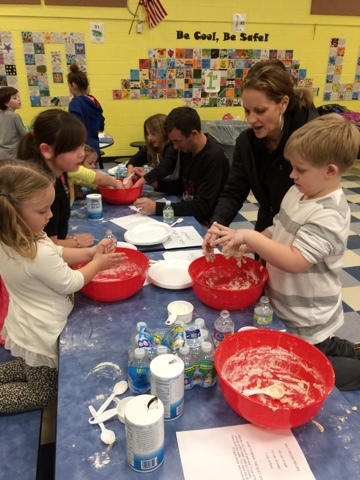 We loved Family Steam Night! 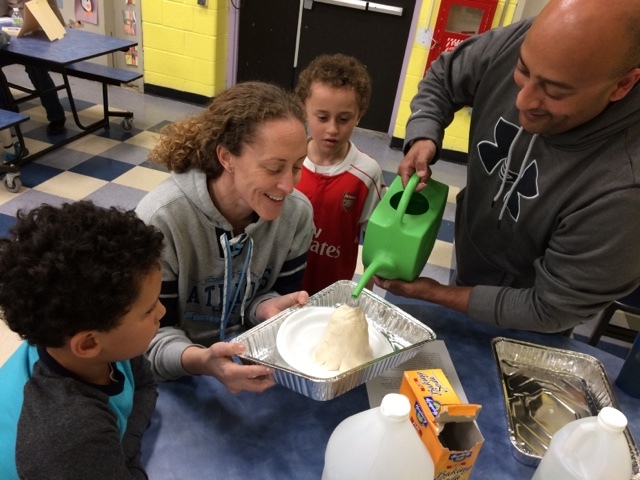 Students and parents were excited to attempt a variety of STEAM challenges. 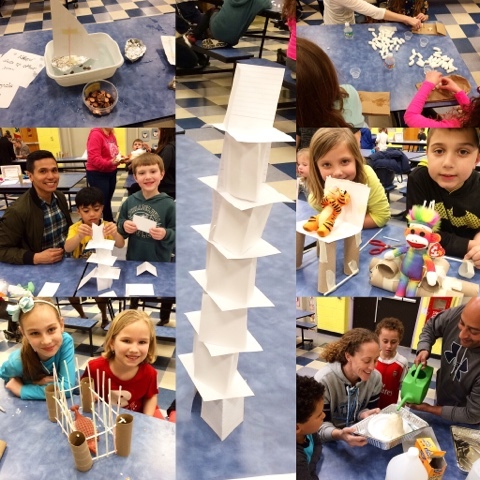 Some new challenges added this year included the Cage A Dinosaur Challenge and the Build with Packing Peanuts Adventure. 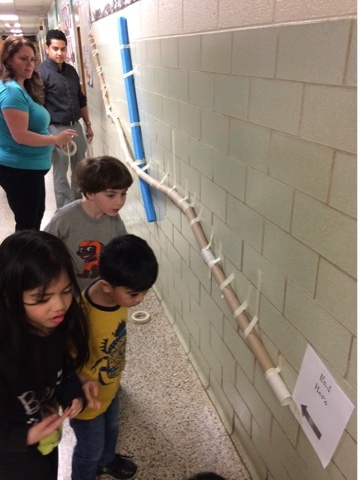 The marble run was a big hit! 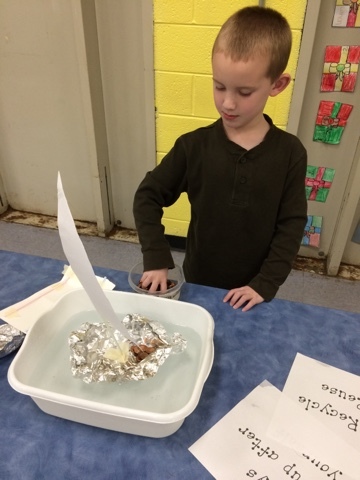 How many pennies can you pile in the boat without it sinking? 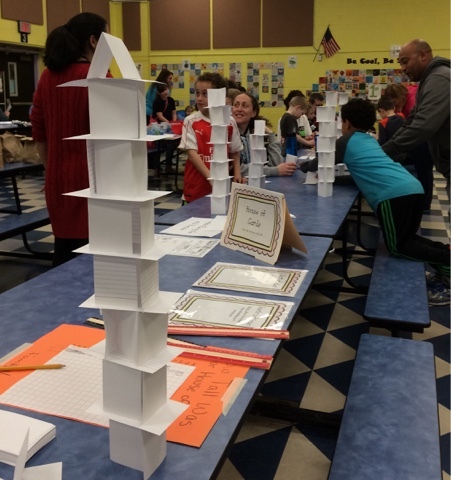 Who built the tallest index card tower? 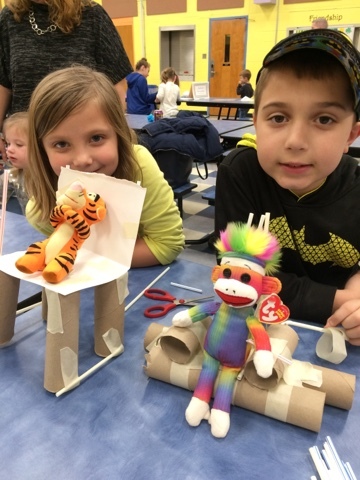 The build-a-chair activity is a great STEAM challenge. Your chairs are very unique! The volcano station was very popular! Hi - this looks great fun and very interactive. 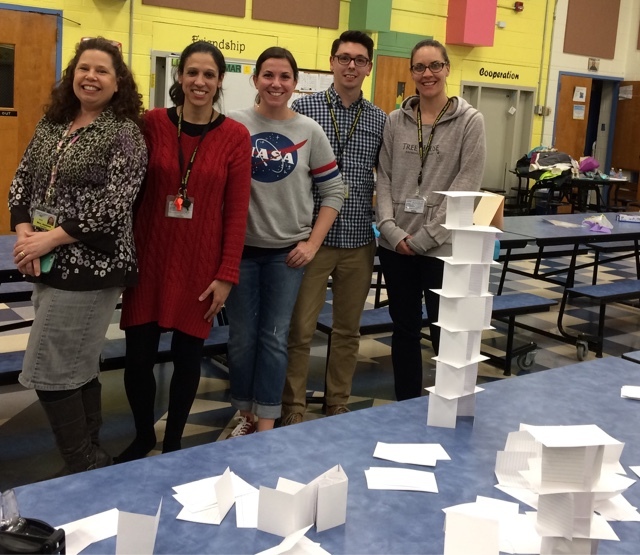 Do you have any details about how you ran your STEAM night and the activities? Thank-you and GREAT blog!! !